For more information about FSAs, contact your employer. Being able to see clearly greatly improves your quality of life. When your vision is properly corrected, you can see better to drive, watch a movie, participate in meetings and perform many other activities. Contact lenses allow you to enjoy the benefits of clear vision without having to wear prescription eyeglasses and can simplify vision correction. 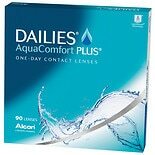 Walgreens makes purchasing and re-ordering contacts easier than ever with a wide selection of lenses that can be shipped to your home. Once you have a prescription from your optometrist, you can easily purchase your contacts from Walgreens and have them shipped to your home. Start by finding the brand and style of lens that your doctor recommended. You can use the links at the left-hand side to make your search easier. Once you have added the right lens to your cart, enter the patient details and information from your prescription. You can find this information on boxes of contacts that you have at home or on a paper prescription provided by your optometrist. After these selections, you can enter the optometrist's information and fax number to accelerate the processing of your order. The Walgreens customer service team will contact your optometrist to verify the accuracy of the prescription and that it was issued within the last 12 months. Then, your contacts will be shipped. Before putting in your lenses, wash your hands with soap and water and rinse them thoroughly. Place the lens on your index finger so that the bottom of the bowl-like shape is resting on your finger. Look for any rips or tears in the lens. Don't use a lens that is damaged in any way. To insert the lens, use the index finger on your other had to pull your upper eyelid up. With the hand that's holding the lens, pull down on your lower lid with your middle finger. Then, slowly touch the lens to your eye. Release your eyelids and gently blink once or twice. Wash your hands with soap and water and rinse them well. While looking up, pull down on your lower lid with the middle finger of your dominant hand. Use your index finger to gently slide the lens toward the bottom of your eye. Pinch the lens gently with your thumb and index fingers and gently lift it away from your eye. Follow up with the cleaning and storage steps recommended by your eye doctor. Can you put contacts in water? Contact lenses should never be stored in plain water. Even distilled water can contain germs that pose a risk for infection. 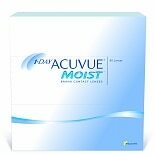 You should use a sterilized saline solution designed specifically for storing contact lenses. It is not a good idea to swim with contact lenses in, as you should keep your contacts out of contact with water as much as possible. The chemicals used in swimming pools can also leave behind residues on lenses that could irritate your eyes. 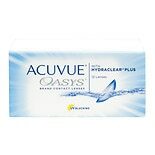 ° Contact lenses automatically ship for free. Free Standard Shipping also applies to general store merchandise, contact lens solutions and accessories under 10 lbs when part of a contact lens order. Items ship separately.